George Koundouriotis was, along with his brother Lazaros (see Lazaros Koundouriotis Museum), one of the most important men of his days. He was a wealthy ship owner who became a politician during the Greek Revolution against the Turks (1821) and to the following years. 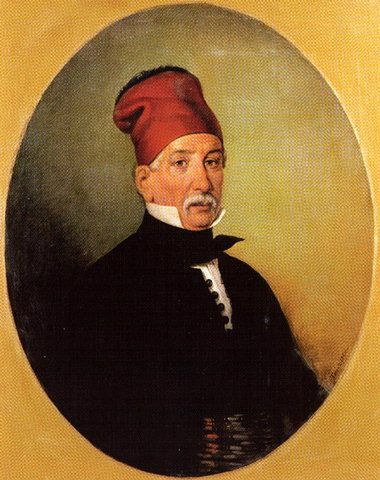 In 1824 he was elected president of the Excecutive Council of Greece and formed his own Democratic goverment in the city of Nafplio, but he had to resign in 1826. After the murder of Kapodistrias (Greek Prime Minister), to whom Koudouriotis acted argumentative, he was elected as President of the Senator and the Cabinet Council. The Mansion of George Kountouriotis is a complex of three buidings and was built at around 1810. 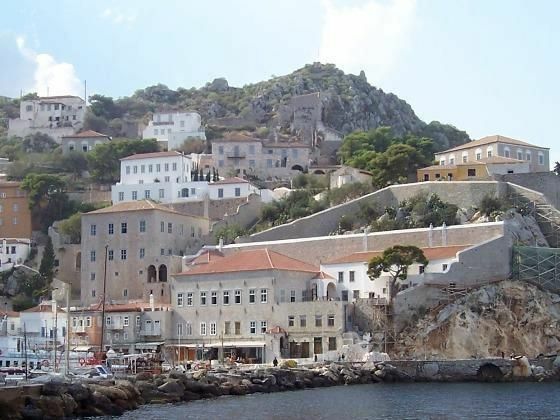 It is located on the hill to the west of Hydra's harbour, in an idylic site among the pine trees. 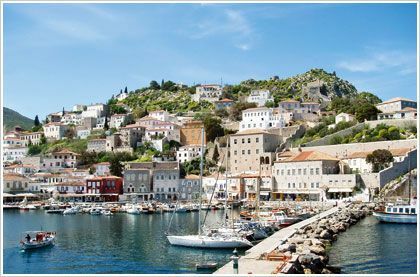 It has been inherited by Kountouriotis' grandson Paul, who was President of the Hellenic Republic, Viceroy and Minister of the Greek Navy. In 1991 the mansion was bought and renovated by the Ministry of Culture. 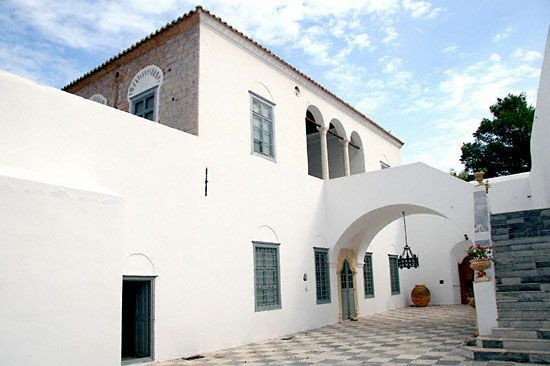 Nowdays it houses the Post-Byzantine Art Museum and the Koundouriotis Family Museum, in which visitors may see among others, the family heirlooms and exhibits from the Greek Revolution against the Turks (1821).